We encourage everyone to be prepared for disaster. Disaster can’t be prevented, but being prepared can help with the challenges when it strikes. Help from a couple of our partners makes getting prepared much easier. ready.gov and redcross.org have lots of good information on how to prepare for emergencies. It only takes a little time. Anyone can do it. Please be prepared. Be ERT trained and help clean out a flooded home. There are many aspects of disaster response, from being a prayer partner to being hands on in the relief and recovery phases. As believers in Christ we are called to be servants of the Lord. In disaster response, there are opportunities to serve with our head, heart, or hands. Regardless of previous experience, there is a place for you. Special training is offered for those wanting to serve in Disaster Response Ministries. 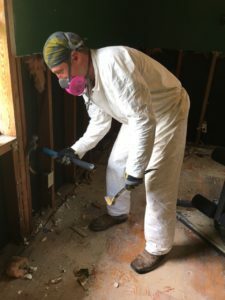 Early Response Teams (ERTs) fill a specific need in the early days after a disaster to clean out flood-damaged homes, remove debris, place tarps on homes, and otherwise help to prevent further damage, while providing a caring Christian presence. ERTs are not a first-response group of emergency workers, nor are they recovery rebuild or repair teams. Under very specific guidelines, ERTs assist survivors without causing further harm or being a burden to the affected community. ERT Certification requires successful completion of the Basic ERT course (8 hours), passing a written test at the end of the class, and completion of the Safe Gatherings process. Note that this requires criminal background checks. These checks are done in compliance with Arkansas Conference Safe Sanctuary policies and due to the vulnerable state of those we serve who have been affected by disaster. The training certification lasts 3 years. ERTs require an invitation to travel to another district, conference, or jurisdiction. Civil authorities want, and many times require, early, on-site responders to be trained and affiliated with a known disaster response organization. The Arkansas Conference has UMCOR certified trainers to assist individuals to become trained, certified and badged. Join this group of trained individuals extending the hands and feet of Christ to those in need. If you church doesn’t have a team, encourage them to check for interest and form a team or join a nearby team. Disaster Response Ministries strive to do no harm. We want our volunteers to be as safe as possible when responding. It has been found that early response many times calls for use of chainsaws. 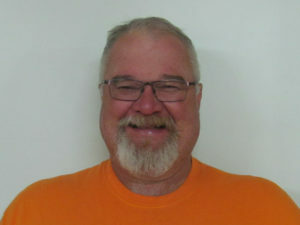 Disaster Response Ministries offers Chainsaw Safety training. In doing so, we follow UMCOR’s Chainsaw Safety and Operations Guidelines and follow their Course Requirements. We ask that any volunteer wishing to operate a chainsaw in response: Own the chainsaw you operate, have verification of training, meet OSHA requirements for personal protective equipment and saw safety equipment. Those affected by disaster face unique emotional and spiritual challenges. 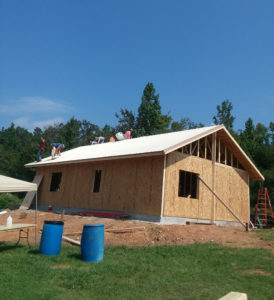 This caring ministry helps disaster survivors connect with the spiritual, emotional, and basic life resources within themselves and their communities. Disaster emotional and spiritual care is a versatile ministry that can be helpful in all phases of disaster. From times of peace through the chaos of disaster response and the seemingly long road to recovery, disaster emotional and spiritual care provides a ministry of presence with an emphasis on listening as a vehicle for healing. Volunteers become familiar with common reactions to traumatic stress and learn the importance of self care. UMCOR’s model for disaster case management is a holistic approach that addresses the whole person – emotionally, spiritually, and physically. Case managers work hand in hand with survivors to understand their situation, help them develop a plan, and connect them to recovery resources. 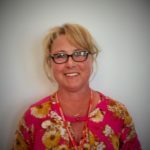 Basic Case Management Training prepares caring people to help vulnerable individuals and families “adjust to their new normal” after a devastating disaster. Additional training equips case managers with specific skill and in-depth practical applications. Note: This course is not offered as part of readiness training. A system for disaster case management must be in place following a disaster event. New home construction after 2018 Crawford County Tornado. Once Early Response Teams have completed their work, recovery volunteers may begin serving in a disaster affected area. These teams come in to begin the repair and rebuilding process. Through the conference United Methodist Volunteers in Mission (UMVIM), you can be a part of a mission team that helps to rebuild the homes and lives of disaster survivors. VIM Teams require a trained team leader. If your church doesn’t have this team, encourage them to form one. Represent United Methodists on your community’s COAD or LTRG. See “How can my church help?” for more information. Go on a mission journey to UMCOR Sager Brown or another depot. Participate in supply drives and assembling kits at your church. Find out more here. See the Conference Disaster Response Plan for the policy on donations management to learn more about appropriate donation practices. Donate funds when you can (you can do so online by clicking here). Note: During a response to disaster, the opportunities to help are increased. Priority is given to getting trained and experienced volunteers in place. If you want to help and are not already trained or engaged in the response in some way, contact your local church, district, or conference coordinator. If a call center has been set up, call the published number and offer your volunteer services there. They will document your offer to help and if a need arises you may be called. There is always some way anyone can help. Sometimes help is needed during “blue skies” between disasters. Again, contact your local church, district or conference coordinator to volunteer.